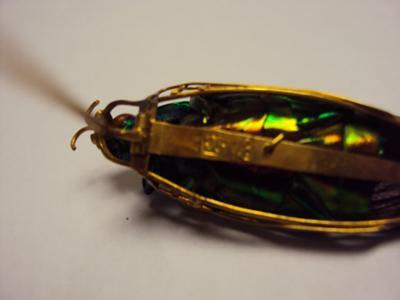 I have a grasshopper pin (real grasshopper) surrounded with a gold cage . Hallmarks are CS in cartouche and an I 8 also, this pin is an estate piece. Can anyone tell me the maker and the value?